Chinese dragons vector illustration. 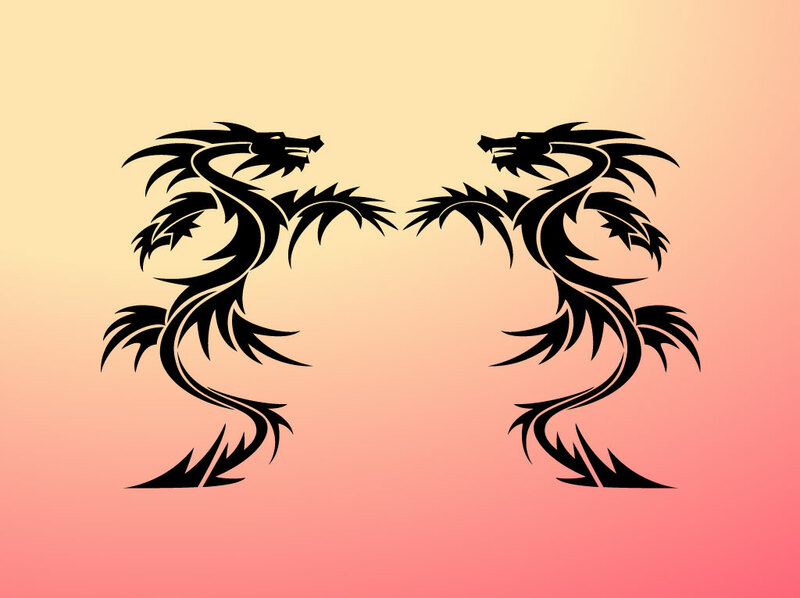 Twin Asian style dragons facing each other in black vector graphics. Comes with an orange and yellow gradient background image. This free download has a tribal tattoo influence and works well as an addition to a modern heraldry design or oriental inspired tattoo. Cool footage for your Asian beast, Chinese culture, legends and myths artworks. Tags: Ancient, Beast, China, Eastern, Japan, Monster, Powerful, Strength.